It would appear teenagers are learning more than reading, writing and arithmetic in school these days. More than half of high school students report that there is a place on or near campus where students go to drink, smoke, or get high. 75% of 12- to 17-year-olds say they’re encouraged to party with marijuana or alcohol when they see images of their peers doing so on social media sites. Teens who say they’ve been left alone overnight, without a parent or caregiver, – almost 30% of those surveyed – are about twice as likely to have used alcohol or marijuana and almost three times more likely to have tried tobacco than teens who’ve never been left alone at night. The Center at Columbia University does not track the number of actual teen drug and alcohol users, but rather how high school students perceive the pressures they encounter day-to-day. Clearly, teens don’t see school as a smoke- or drug-free zone. Our youth are particularly vulnerable to peer pressure—even photos of teens smoking, drinking and doing drugs help lure them into addiction. An image speaks a thousand words. 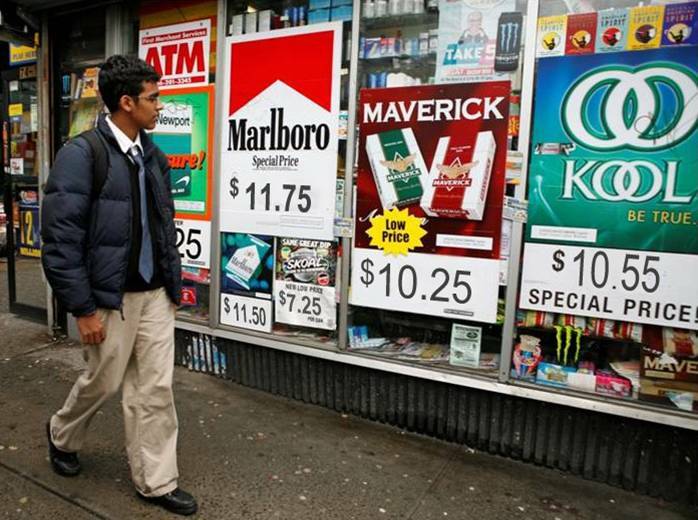 Yet a federal appeals court struck down a law last Friday (August 24, 2012) that requires tobacco companies to place graphic health warnings on their packages and advertising. The court claims that the law violated corporate free speech rights. Ultimately, the U.S. Supreme Court may have to rule on the dispute.